Today (January 6th, 2017) is the second official day of CES 2016 and there were still a few announcements that were made but not as many as the past few days. Ford is not the only car manufacturer that is planning on bringing Amazon’s Alexa to their vehicles. Volkswagen has also announced that it will be building Alexa into their cars. Alexa support for Volkswagen vehicles will come in two forms. The first is when you’re at home and you can use Alexa (via your Echo) to check fuel levels, order parts and send directions to your vehicle’s built-in navigation system. 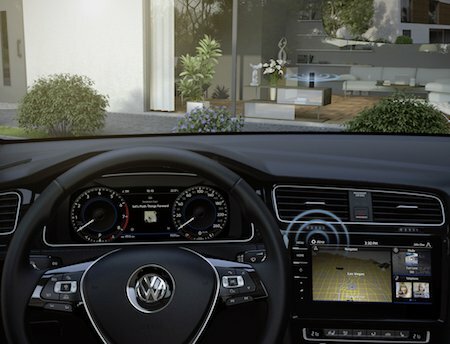 Then when you are in your car, you’ll be able to control your smart home devices, set reminders and so forth. Volkswagen hasn’t said when or which vehicles will get Alexa support, they’ve only said that they’re working on it. It seems like everything is internet-connected in some way or another. From thermostats and fridges to lights and now even a shower. Moen is partnering with GridConnect (who are experts when it comes to the connected home) to release a smart shower called the U which can be controlled via a panel on your shower wall or via an app on your phone. The actual controller has a 5-inch non-touchscreen and which needs A/C power. It will allow people to exactly set what temperature they want for the water in their shower. There is also 12 presets that can have their own name, greeting temperature, pressure and time which can all be modified to each user. All the stuff that can be done on the shower controller can also be done via a phone app, so you could wake up in the morning and then just as you’re getting up, pre-set your shower via the app and then make your way to your bathroom for a nice morning shower. Now you’re probably thinking to yourself, Shut up and take my money, the U by Moen does come at a cost. For a two outlet system and the panel controller, it will set you back $1,160 USD and if you want the more advanced four outlet model, that will cost you $2,200 USD. Both models will require some installation help via a certified installer since it’s not just as simple as changing your shower head. Intel has introduced another one of their small-form factor computers with the Compute Card. It measures at 94.5mm by 55mm by 5mm and that’s including the CPU, GPU, RAM, storage and Wi-Fi chips. Intel is aiming this for things like smart TVs, fridges because these items seem to kept for longer periods of time. For example, you might keep your TV for about 8-10 years or so but the processing power will be severely obsolete after a while, so Intel is thinking that if your TV has a Compute Card, you could simple change an old card for a new one instead of replacing the whole TV. This is similar to what Samsung had come out with a few years ago with their Smart TV kit. Intel hasn’t revealed any specs or speed but they said you should expect similar performance to fanless computers such as Apple’s MacBook. The card will also being using a variation of USB-C called USB-C Plus Extension to help connect the card to other devices and it will give direct access to things like USB, PCIe buses, HDMI and DisplayPort. Intel said that the Compute Card will sort-of replace their Computer Stick which is set to be phased out in 2018 or so. Intel also said that they will reveal more information on the Compute Card in June of this year and the cards will be available in mid-2017. Intel is also partnering with companies such as Dell, HP, Lenovo and Sharp on the computer side and Seneca Data, InFocus, DTx, TabletKiosk and Pasuntech on the commercial side and each company will make their own announcements and releases. Why buy a whole new fridge when you could just stick a camera inside the one you already own. 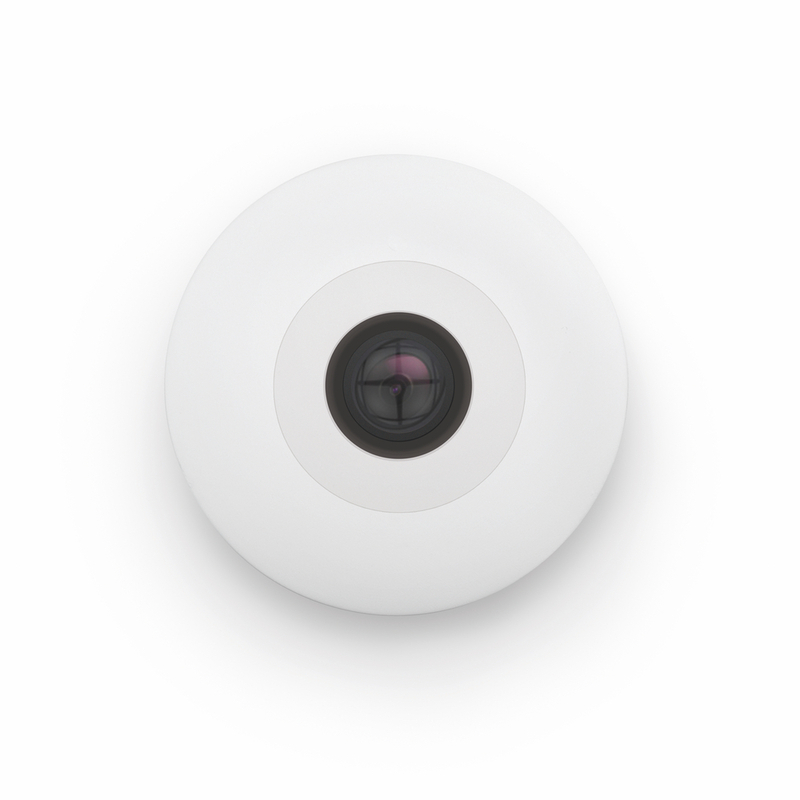 But not just any camera, the FridgeCam, it’s a small circular camera made by London-based company Smarter and you stick it on the inner door of your fridge to monitor the food inside your fridge. Smart fridges have the abilitiy to see what food you have (and don’t have) in your fridge even if you’re not home. Smarter’s FridgeCam will take a picture of the contents every time you close the fridge door and that photo is sent straight to your phone via the Smarter app, so then you can easily reference it while you’re going for groceries or just check what food you have at home. The camera and the app are smart enough to know if you’re running out of a certain item and it will add it to your shopping list. The app will also alert you when you need to pick up certain items and you’re out and near a grocery store. FridgeCam is also smart enough to determine foods even if you rearrange your fridge. Smarter says their FridgeCam can last about six months on single charge since the device only snaps photos and is in sleep mode most of the time. And it charges via USB-C. The Smarter FridgeCam is expected to ship this spring for $150 USD. 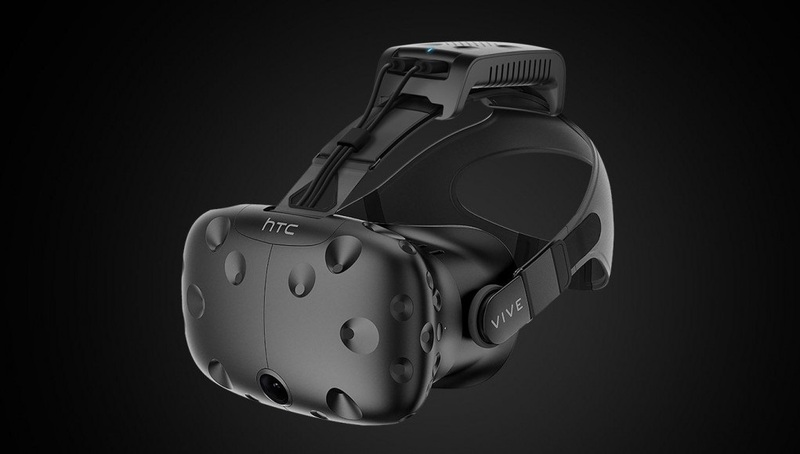 HTC has announced that some partnerships to bring some new accessories for it’s Vive headset to increase play times. One of the new accessories announced was the TPCast which allows the Vive to be untethered from a PC. The device itself attaches to the Vive headband and can receive audio and video wirelessly with only a 2 milliseconds of additional latency. The device has to be connected to a small 6,000 mAh battery that has to sit in a player’s pocket and can provide enough power for 90 mins of play time. A battery pack with an estimated five hours is in the works as well. The TPCast will be release worldwide (wherever the Vive is available) in Q2 of this year for $250 USD. The other accessory that was announced was the HTC Deluxe Audio strap which replaces the Vive’s existing headstrap with a band that has adjustable headphones that can slide into place over your ears without the need to use your own headphones or earbuds. HTC hasn’t said how much the Deluxe Audio strap will cost but it should arrive by the end of Q2. HTC also announced the Vive Tracker which is supposed to be clipped to real-world items, so then they can be tracked by the Vive’s Lighthouse tracking system. HTC hasn’t revealed pricing for the Vive Tracker either but it will be available by the end of Q2. 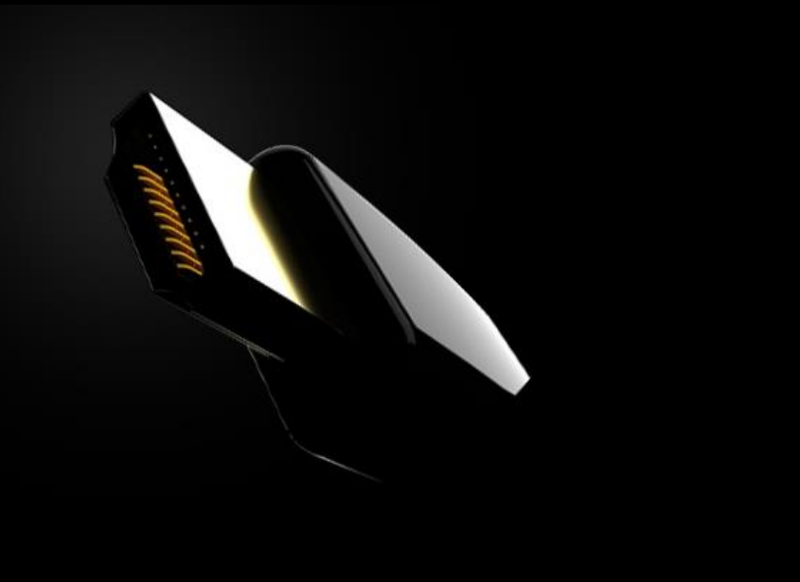 The HDMI 2.1 spec was announced at CES by the HDMI forum and it brings along higher throughputs, faster refresh rates and more pixels on screen with support for 10K. The forum hasn’t said exactly what the exact resolution of 10K will be but some specs sheets put out by the forum say that it could be a wider version of a 8K resolution, at 10240 x 4320. The new HDMI 2.1 spec also has support for frame rates as high as 120 frames per second as well as support for HDR-10. It will probably be while before we see 10K display in our living room (we’re just recently seeing 4K make it’s way.